Birds in the glens of Angus, Scotland, have been swooping away with underwear from a popular open-air swimming spot. Bathers had been confused about the mysterious disappearance of their smalls but, thanks to the discovery of a new red kite nest in the area, all has become clear. Among the material used to make the nest were socks and underpants. The new nest, which had two chicks, was found on a moorland in Glen Esk by a trainee gamekeeper, who contacted the RSPB to report the find. Dave Clement, head keeper at the Gannochy Estate and member of the Angus Glens Moorland Group, said it was as if the birds of prey had been “cleaning up the glen” with their unusual choice of nest walls. He said: “Our trainee gamekeeper discovered the nest and we rang the RSPB to have them ringed and tagged. 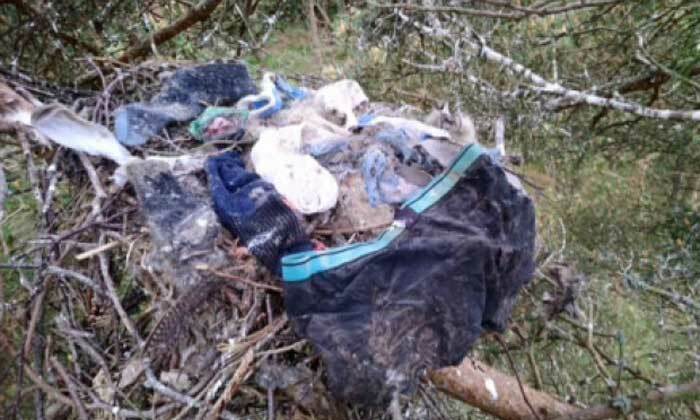 “What was really interesting was to see socks and underwear from a popular nearby swimming spot actually in the nest and in the surrounding trees. 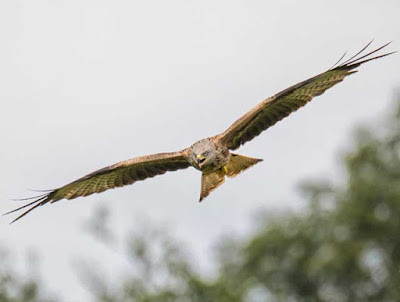 It was like the kites were cleaning up the glen.” Red kites are a reintroduced species and the juveniles are monitored so ornithologists can learn more about behaviour and movements.